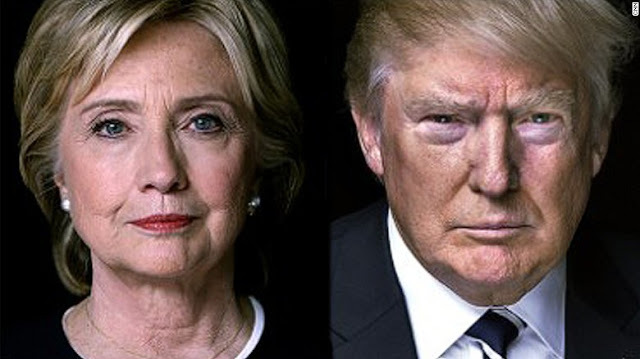 For the first time we saw a semblance of a traditional general election campaign with both campaigns playing volley and going back and forth.The Clinton team prepared and attacked before, during, and after the much announced Clinton Attack speech to be delivered by Trump.They identified his lies alongside the press who was quickly fact checking. FACT CHECK: To date, the only financial commitment Hillary Clinton has specified along these lines is $15 million to broadly support the integration of immigrants, including refugees. And an independent analysis of the potential cost associated with resettling an additional 70,000 refugees--as Clinton proposed last year--has pegged the price tag at $582 million. By comparison, the cost to rebuild the city of Detroit alone is $1.25 billion, according to the city's emergency manager. FACT CHECK: According to Factcheck.org, “the author of ‘Clinton Cash’ falsely claimed Hillary Clinton as Secretary of State had ‘veto power and ‘could have stopped’ Russia from buying a company with extensive uranium mining operations in the U.S.” In fact, the State Department was just one member of a nine-agency panel that reviewed this transaction. The panel was led by the Treasury Department, not State, and Hillary Clinton was never personally involved in the consideration of the deal. FACT CHECK: Comprehensive immigration reform would boost economic growth and increase the size of the labor force. FACT CHECK:Politifact looked at a similar claim Jeb Bush made and rated it “Mostly False." FACT CHECK: "Independent experts like Steven Aftergood of the Federation of American Scientists have said there was no criminal aspect to her use of a private email server. Additionally the Wall Street Journal reported that federal officials do not expect criminal charges to be filed as part of the Justice Department's ongoing review of the private email system. FACT CHECK: The New York Times reported that security logs show no evidence of foreign hacking. Speaking again from the prompter, with a few occasional asides, Trump appeared to be sticking to a more scripted. We'll see how long the more subdued style last. This only is day 2 of the Manafort era of the Trump campaign. The Donald gave a lot of red meat to his base calling the presumptive Democratic nominee is "a world-class liar." Which is rich considering his politifact ratings. During his 40 minute rebuke he slammed Clinton for everything from using a private email server to backing free trade. He touted that his outsider status even vying for Sander's supporters. Our personal favorites were criticism of the Clinton foundation and her tenure at the State department. Trump attacked Clinton's tenure as Sec State hyperbolically pinning Middle East destabilization at the feet of Hillary Clinton (All interventions he then supported.) and claiming "She ran the State Department like her own personal hedge fund" Really???? This coming from the man who's campaign filed FEC records showing it's funneling - 17% of all campaign expenses to date to Trump-linked businesses. Today's speech was even better than her Economic Attack on Trump yesterday's attack on Trumps lack of an economic policy in Columbus, Ohio. She also took the last bit of her speech in Raleigh to directly responding in an aggressive manner. "I guess my speech yesterday must have gotten under his skin because right away he lashed out on Twitter with outlandish lies and conspiracy theories." So who won the day? We are going with one Hillary Rodham Clinton who perfectly summarized the day "[Trump]'s going after me personally because he has no answers on the substance."